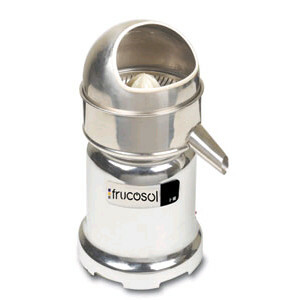 The F-10 is the smallest juicer from Frucosol. 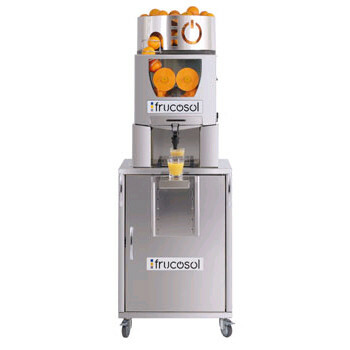 In a minimum space, the F-10 combines versatility, functionality and durability in a design that makes it perfect for applications that don’t require much juice. 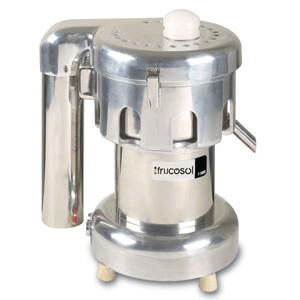 Quality Construction – Attractive stainless steel construction in a small, yet durable, machine. Less moving parts means less problems. Open Design – The front opening allows for easy access to the squeezing process. 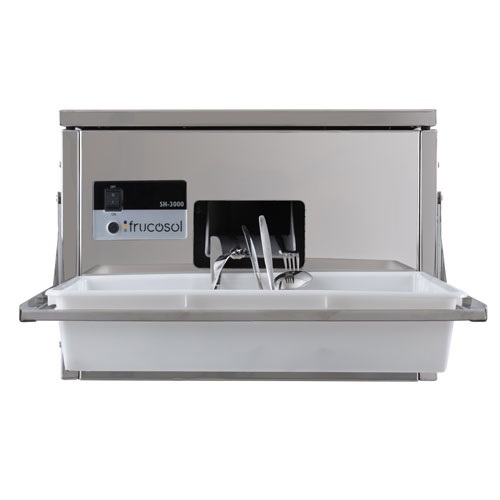 The top removes for cleaning. The spare parts can be removed and washed in the dishwasher.